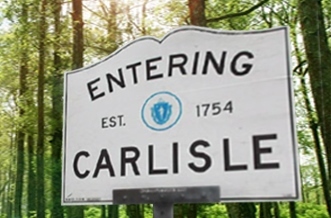 One of the smaller towns in the region, Carlisle is a quaint and quiet New England town in every sense of the word. With a country store, a library, and a couple of ice cream parlors, it’s a slow-paced, tight-knit community that boasts just 4,800 residents in total. Historically, Carlisle has been around for years. Though the area was first settled back in 1651, it didn’t become its own incorporated town until nearly two centuries later, in 1805. Since then, it’s grown steadily year after year. Now, it’s home to 1,600 different households, 46 percent of which have children on the property. It’s a family-friendly town to say the least, and it’s no wonder why. With loads of religious, recreational, and community activities, there’s something for everyone in Carlisle. Some of the top draws? For the kids, there’s Boy Scout Troop 135, the Carlisle Children’s Choir, Cub Scouts, Girl Scouts, the Concord Youth Theater, and club sports like soccer, basketball, softball, baseball, hockey lacrosse, football and cheerleading. For the adults in the family, Carlisle has plenty of activities to offer. The Community Chorus and Barbershop Chorous are great for the musically inclined, while adult soccer, the Chess Club, the Carlisle Historical Society, Green Carlisle, the Savoyard Light Opera Company, and the Colonial Minutemen offer lots of opportunity for fun and camaraderie. Carlisle also plays host to the annual Old Home Day celebration, which takes place every year around July Fourth. The event includes an ice cream social, one-mile and five-mile races, a pancake breakfast, a flag-raising, a parade, a country fair, an art show, a frog-jumping contest, lawn games, a corn shucking contest and a pet show. But it’s not all fun and games here Carlisle. The town is also home to some top-notch educational opportunities, too. Kids in the area attend Carlisle Public School for grades kindergarten through eighth, and either Concord-Carlisle Regional High School or Minuteman High School, an admissions-only vocational and technical school, for ninth through 12th. Carlisle Public School boasts a perfect 10 out of 10 rating on GreatSchools, as well as a 5 out of 5 rating based on parent and community member reviews. Concord Carlisle High rates a 9 out of 10 on GreatSchools, and U.S. News and World Report also named it one of the best high schools in the country, giving it a Silver Award in honor. The school has an extremely low student-teacher ratio, and its student proficiency in English and math is 97 and 95 percent, respectively – much higher than the national average. A town like Carlisle, with all its amenities and opportunities, is certainly considered prime real estate in the area. Though the median home price is around $757,000, you can find acreage in the low $300,000 range, if building a home from the ground up is more your style. Whichever you choose, one thing’s for certain: Carlisle is an excellent choice to buy a home. With plenty to do, see and experience, a place like this only comes along once in a lifetime.